Laptop battery life is incredibly important for computer users. If you regularly use your laptop while on the go, chances are you rely heavily on its battery. Whether you’re a casual gamer or a freelancer who depends on a computer for your income, it’s important to carefully maintain your computer to ensure the battery works properly and holds a charge. By following a few simple free computer maintenance tips, you can increase the life of your laptop and enjoy convenient, cordless computer use. 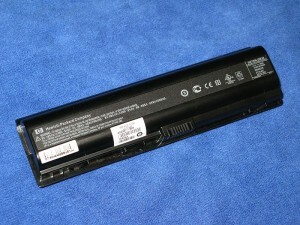 There are a variety of simple laptop battery tips that can help you to extend the life of your battery while allowing your computer to function optimally. First, take some time to adjust the power settings on your computer. Windows has several power schemes that you can use to adjust the settings on your computer for mobile use. These settings can be found under Start>> Control Panel >> Performance and Maintenance>> Power Options>> Power Schemes. Next, take some time to disable power hogging programs. If you’re trying to use your battery for long periods of time, you won’t get the most laptop battery life while watching movies, playing graphics intense games, or using media streaming programs. For this type of software to work optimally, you really need to be plugged into a power source. To get the most laptop battery life, you should also consider dimming your monitor settings. The lower the back light on your monitor, the longer your battery will last when your computer is unplugged from a power source. Other free computer maintenance tips that apply to your battery include keeping an eye on the age of your battery, replacing it after a year to a year and a half. The type of battery you’re using, as well as how old it was when you purchased your computer, may also affect how long it lasts for you. If you notice that your battery is suddenly not holding a charge or not lasting for as long as it used to, you might consider replacing the battery before making the more drastic step of replacing the computer itself. Using these simple tips, you may be able to extend your laptop battery life by quite a bit of time. For the best possible results, tweak the power settings on your computer, be mindful of the programs that you’re using when your laptop is unplugged, and adjust your monitor’s brightness. These simple changes can make a world of difference in your laptop’s battery power usage.